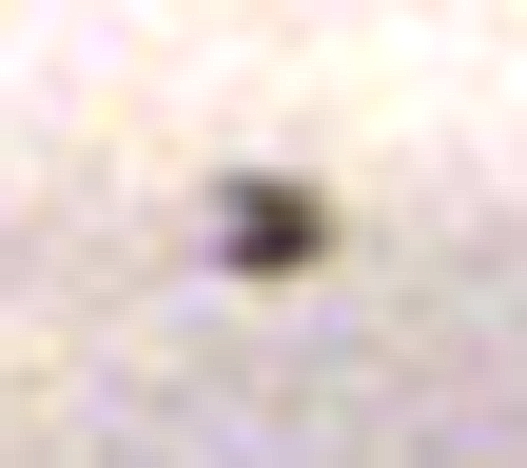 We also have a " Top Hat " ufo photographed here in Mexico similar to one shown in the July 2 Chemtrail photo on your site. I recently descovered this case in which a family from Monterrey were involved back in 1995. On July 23, 1995, the Mendoza family were on a vacation trip driving on the road from Aguascalientes to León, Guanajuato. At 5:20 PM, Mr. Gustavo Mendoza, Mrs. Elena Lemus and their two sons Aldo David and Gustavo Alberto suddenly had an unexpected encounter. According to their testimony, Mrs. Elena Lemus was the first to see a ufo in the sky. "My husband was driving slow and we all were talking when suddenly a kind of bright flash attracted my attention to the sky. That's when I saw it: an object that was emitting or reflecting a light in its left side." "I shouted, 'Look over there!' My husband stopped the car at once. 'It's a UFO!!' my two sons shouted. We were observing the strange object through the car's windshield. It was static in the sky without moving and I felt a strange sensation. 'Take a picture!! Take a picture!!' my husband said to me. 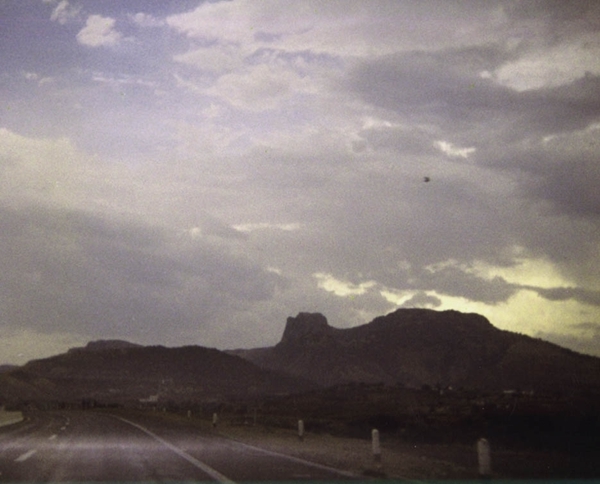 I was carrying my Kodak 110 pocket camera, so I grabbed it and quickly took a photograph through the car's windshield." "At that moment, the UFO made a slight movement to the left and then turned very quickly to the right disappearing in a blink of an eye. I tried to take a second photo but the UFO was very fast. " Mr. Gustavo Mendoza mentioned that he also felt the strange sensation while observing the unknown object and after the UFO disappeared. They remained with the car stopped for about three minutes talking to each other about the unique experience. "We were very excited and hoping the UFO would reappear." Mr. Gustavo declared, "But it never returned. That was the moment that I realized that we were in the middle of the road. It was really strange, they were no cars on the highway and we didn't felt any wind or hear any sounds. We were convinced that we had a UFO encounter and our main hopes now were for the photograph to come out clear." "I started the car and began to move it very slow. We were still looking to the sky hoping to see the UFO again. It was like we didn't want to leave this place, we were hoping to make contact again. Finally, we continued our trip and when we returned to Monterrey. 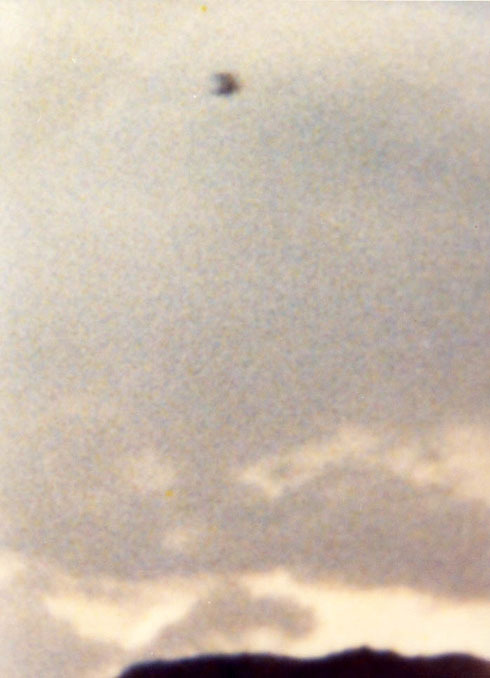 I developed the film and for our luck we got a clear picture of the UFO. It's strange but when we were seeing the photo my wife and I felt the same sensation of that day." 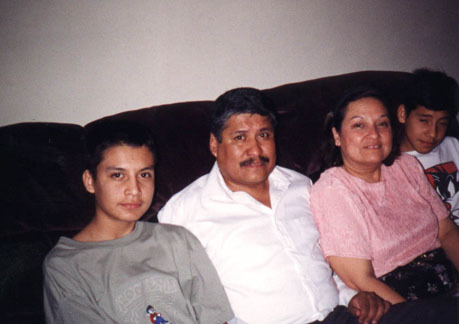 The Mendoza family kept the UFO photograph in their photo album as a remembrance of their experience. Recently, as a result of a local UFO TV show, Mr. Mendoza contacted me and told me about their UFO sighting. He gave me the negatives and I made several analyses. The zooming photo was made at the PhotoLab...not by the computer. It was made direct from the original negative to capture all the elements. I checked all the photos in the negatives and there was only one UFO photo in the sequence...verifying the wittnesses testimonies. For me, this was a lucky discovery of one more case in my UFO research. But for the Mendoza family, it was truly a unique moment in their lives.